The well versed animator Ikeda-san, having served as character designer and chief animation director for many works, worked to prop up the base of K-On! The Movie’s drawings. What points did the trusted Ikeda-san focus on for the drawings? – Please tell us your initial impressions upon reading the original manga. It’s a story about a light music club and yet there’s no musical performances…… Though it’s a story about light music, the tale about becoming friends and playing around is more important. – What kind of planning and ways of thinking did you use during the K-On! series? Additionally, what did you talk with director Yamada about during your work? I sought direction for phrases like “softness” and “atmosphere.” I could draw girls well, but it’s essential to obtain codes like that in order to properly draw with the right temperature. – What were your thoughts when you first heard K-On! was being made into a movie? 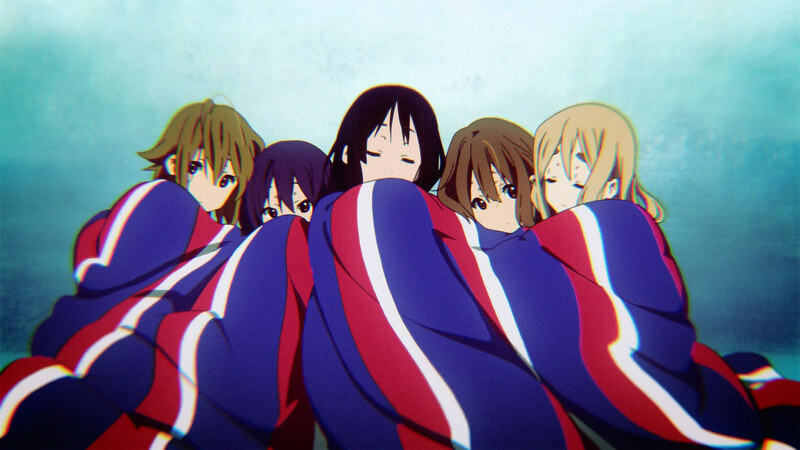 We’ve done a first and second season and so it’s come this far…… A movie is a very important event and has big events, so for the normal-life K-On! to get one was beyond what I could imagine. I looked forward to seeing what it would be about. – What did you talk to director Yamada about while working on the movie? Continuing from the last question, I jokingly told the director I expected the story to be something like “Guita was placed on the bed of a moving truck and the girls went on a trip after it….” and she replied “Other people have told me the same thing…..” Besides that, I had various discussions with her about the facial expressions continuing to feel like the girls and about what she wanted to draw and to have done. – What part of the movie were you over as animation director? From when they arrive at the hotel in London until the part where they return. – The drawings in the movie changed a bit from the TV series. What portion did you put a lot of effort into? Though the movie and TV series are different, I personally can’t tell a difference. Ever since the first season started, the drawing style of K-On! changed over time so I was always conscious of trying to keep up with Horiguchi-san’s real time drawings. – What were you conscious of while working on the movie and what parts were you focused on? The London part was content that was not the usual for the girls. It had a lot of settings created just for the movie and the information content was greater, so my focus was to help out the key animators. – What is your favorite scene(s) in your part and what scene were you particular over? 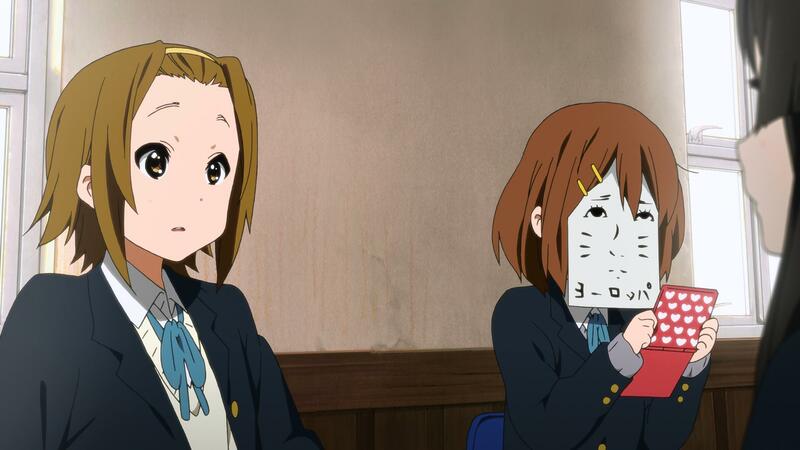 The scene where Yui and Azusa chase each other around and come back in a comedic fashion is my favorite scene. – Please tell us what scenes from the other parts that you like. There’s a lot of scenes in the movie that I like, but if I have to pick some that I like, it would be the scenes where there’s a lot of people clamoring around. I really like the scene where there’s a lot of discussion over where they should go. “Europe” is a masterpiece. Yui’s Europe face has impacted a large amount of people. Though it wasn’t in the scenario, director Yamada added it to the storyboards. – You’ve worked with director Yamada for three years now. What type of director would you say she is? Outside of specializing in ending visual images, when the time comes to depict a story and how it’s told, she definitely puts a simple and warm sensation into the story somewhere along the line. – What are your thoughts on the K-On! series, now that three years have passed? Three years…. We’ve been involved with them since matriculation until they graduated…… It feels like that. Truly they feel like their own generation to me. – Please give a comment to all the fans. Thank you very much for continuing to support us for this long period of time for the first season, second season and the movie. Kazumi Ikeda Animator working at Animation Do. Her notable works include character design and chief animation director for Chuunibyou Demo Koi ga Shitai!, the Clannad series, and Kanon. This entry was posted in K-On!, Kyoto Animation, Translations and tagged c-part animation director, ikeda, k-on, kazumi, movie, Translation. Bookmark the permalink.